"Men take better care of their cars than they do their bodies"
Since its inception, The Milana Family Foundation’s mission was traditionally to raise money and awareness for charities that benefit children in need. Over the years we became actively involved with the De La Salle School, and provided scholarships for underprivileged young men to attend the private high school, and then go on to college. We have also been staunch supporters of the Columbus Citizens Foundation, Smile Farms, Cohen Children’s Medical Center, the Cooley’s Anemia Foundation, and Stop Abuse. While we will always remain loyal to these very worthy causes, in 2018 The Milana Family Foundation shifted our mission to a cause that is close to our hearts. In November 2015, Thomas Milana, Jr. received an alarming blood test result during a routine doctor visit; it revealed that Tom had a high PSA, or prostate-specific antigen. Over the course of the next three months, Tom underwent a series of tests that ultimately revealed he had prostate cancer. In April 2016 Tom had successful robotic surgery, and today he remains 100% cancer-free. Tom’s experience revealed to him not only how difficult living with a cancer diagnosis can be, but also how few resources there are outside of the internet for men when it comes to their health. Men rarely talk about their medical conditions, and that is something that our family is working hard to change. 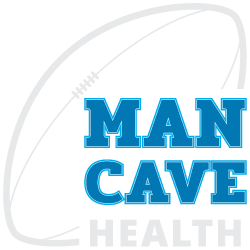 We created Man Cave Health to provide men with a comfortable environment for education, testing, and treatment of prostate cancer. Our first “Man Cave” opened its doors to patients at Mount Sinai Hospital’s Department of Urology in January. Its purpose is to make men feel more comfortable when it comes to talking about sensitive health topics, because we know that heightened awareness of such issues will result in better outcomes for patients. Driven by the notion that “men take better care of their cars than they do their bodies,” Man Cave Health is a destination for men seeking information about and support for prostate cancer.